Freestanding Christmas Wonky Dog with Engraved Face and 3D Feet and Santa Hat. Comes with 2 separate 6mm feet and a hat to attach to dog. 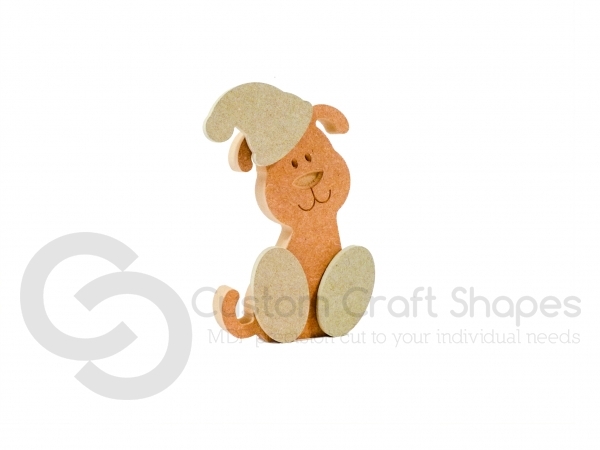 Dog cut from 18mm moisture resistant MDF, feet and hat cut from 6mm moisture resistant MDF. Facial details engraved include; eyes, nose and mouth. Small dog is 125mm high, large dog is 160mm high.